Of all the Bestoft slot machines ever released Max Quest: Wrath of Ra is by far the best. It’s a role-playing game fitted with epic proportions that’s draped over with incredible bonus rounds. It’s unique because it embraces a new generation of role-playing slots with breathtaking visuals and scenery. The top cash prize up for grabs on a single spin is 5,000 coins ($100,000) while the RTP (average return to player percentage) is a respectable 96%. The special features are played when shots are fired towards the shambling hordes. 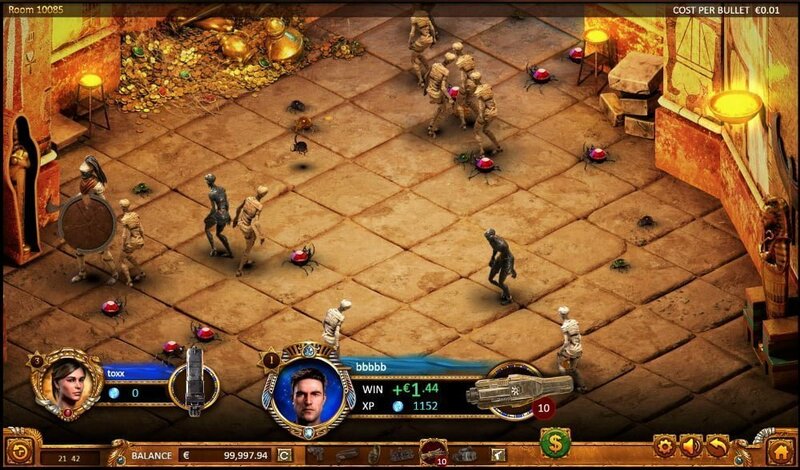 As you sink deeper beneath the sands searching for hidden treasures you’ll go toe-to-toe with bone-chilling mummies. It’s an RNG-based slot game that offers an interactive shooting experience like never before. 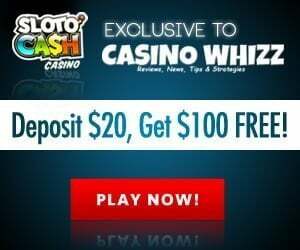 You can play this at any our betsoft online casinos which accept US and Australian online casino players along with Europeans. How Can I Make My Bets? Each game room is sorted by the cost of each bullet. Before the slot commences you must purchase bullets from the lobby. You start play with a standard weapon, as you fire shots into your enemies they’ll drop special weapons more powerful than yours. Shots fired that ricochets of walls kills more enemies, each enemy offers multiple cash prizes. The key to the slots is to get more powerful weapons – the more powerful the weapon is the more enemies you can kill which translates into bigger rewards. Different weapons include a shotgun, grenade, machine gun, laser and plasma rifle. Multiple chests are displayed each containing ammunition for the gun you use. Players are assigned different quests where they search for hidden treasures, as they defeat more enemies they’ll gain more experience points: quests range from 1 star to 5 stars. 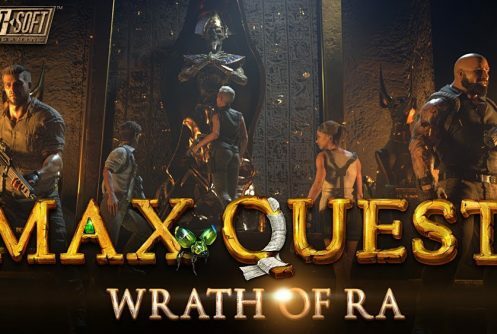 A leaderboard is linked to Max Quest: Wrath of Ra, players who score the most points by completing various in-game tasks will walk away with all the spoils. For each level completed more experience points is earned that improves the ranking. Two percent of all the bets made will go towards a prize pool that will be shared among the top ranked players. From what we understand each Betsoft online casino can ‘tinker’ the leaderboard prizes as they see fit. 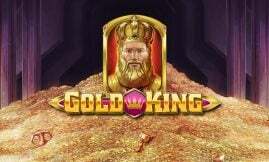 This means that the cash prizes will differ from one online casino to the next. Irrespective of all the shooting that occurs, it’s important to remember that no skill is involved, each payout is still governed by a random number generator (RNG). Bullets that missed their target will bounce around until one is hit! As you complete a round you may be rewarded with a ‘God Event’. Enemies will disappear from your screen and a random god will join your entourage. If you succeed in defeating the god you’ll earn a massive cash prize. 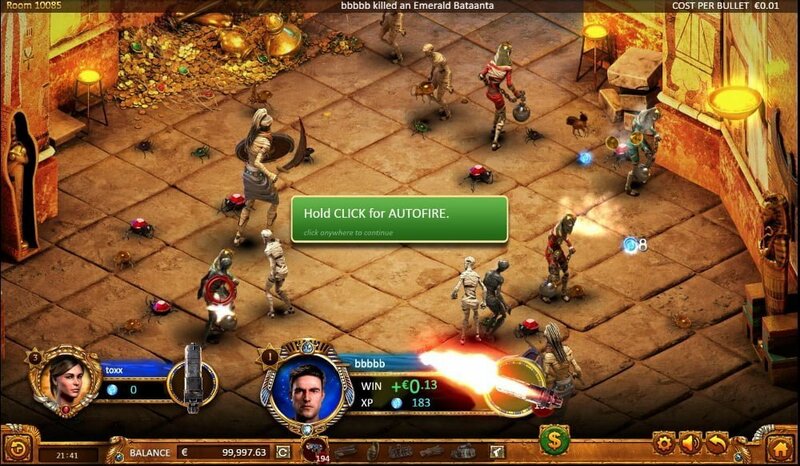 Here you team up with five other players mowing down unending hordes of monsters. By working in unison the possibility of triggering a ‘God event’ is very good, essentially once this bonus feature is initiated the rewards can be spectacular! 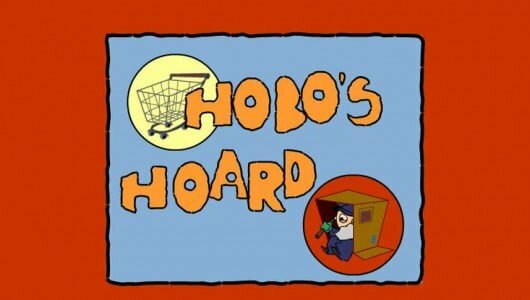 When we look back at how much fun we had the few complaints we have feel minor. Max Quest: Wrath of Ra is beautiful as it is enormous, it ties in the role-playing action effortlessly with an unparalleled slots action never seen before. Due to the high-level visuals the functionally of the game can be a little ‘mushy and unresponsive’ on mobile phones. Max Quest sees Betsoft rub elbows with the biggest names in the online gambling industry. Due to its intricate game mechanic it might come across as confusing and disjointed since it tries too much. If you have the patience for it; it’s a system that takes online gaming to new heights effectively creating a player experience that’s more involved and satisfying. 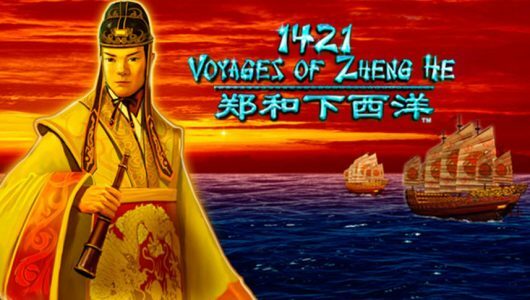 What makes the game unique among online slot machines? Max Quest: Wrath of Ra breaks the mold when it comes to traditional slots. The reels and symbols are replaced with an exciting and interactive shooting experience guaranteed to keep players on the edge of their seats. There’s no spin button instead players must line up enemies in the cross hairs of their guns, they get paid in coins for every kill. This revolutionary slots ropes in a wider audience by incorporating the social aspects of video gaming and an online casino. Furthermore, Max Quest prompts players to set up their own avatars, basically they’re given ‘bragging rights’ by showcasing their accomplishments through a trophy cabinet and they can track their performance through a leaderboard. It is a multiplayer game that gives up to 6 players the chance to compete and cooperate in a virtual environment that’s surreal. Can we say that Max Quest: Wrath of Ra revolutionized casino gaming? With its console-grade visuals, social gaming aspect and stellar animations, absolutely. It’s safe to say that Max Quest disrupts run-of-the-mill casino gaming by a country mile.